CONNECT with new and familiar faces at an informal evening of networking. SHARE your projects from this season, and plans for next season. REFLECT with your feedback on our current, past and future programming. 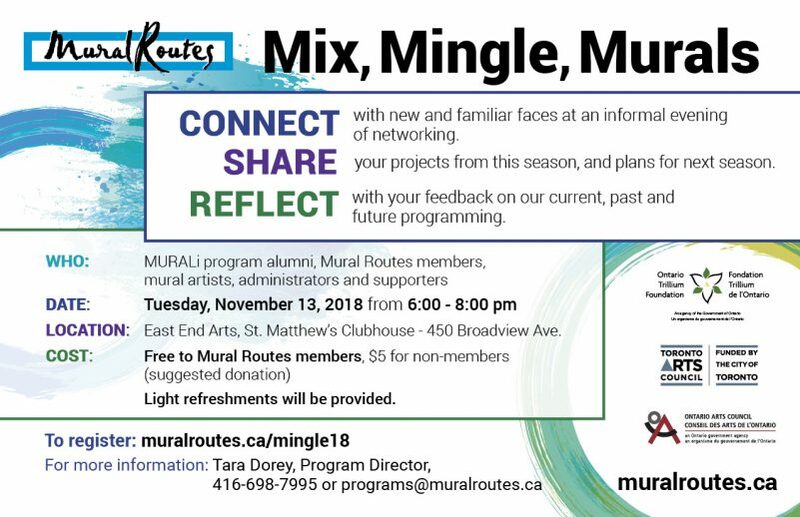 Who: MURALi program alumni, Mural Routes members, mural artists, administrators and supporters.